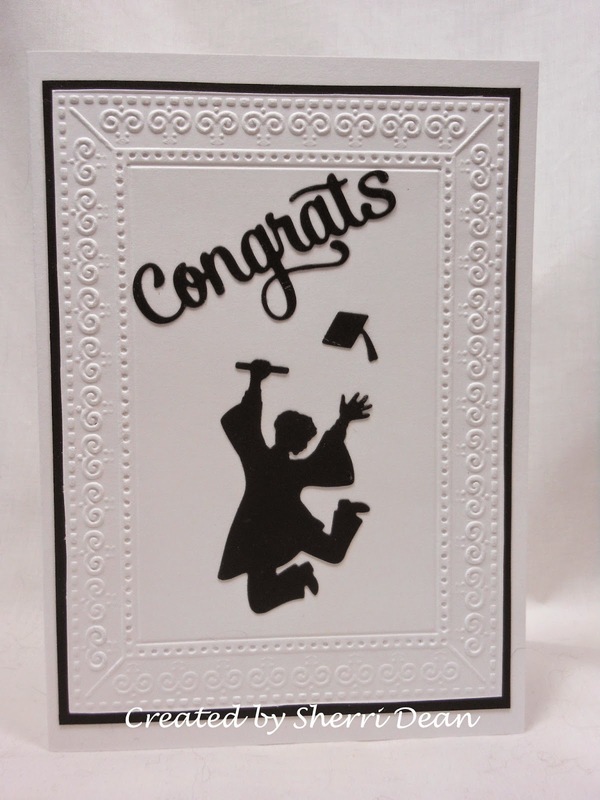 Dies R Us: Congratulations Grads! 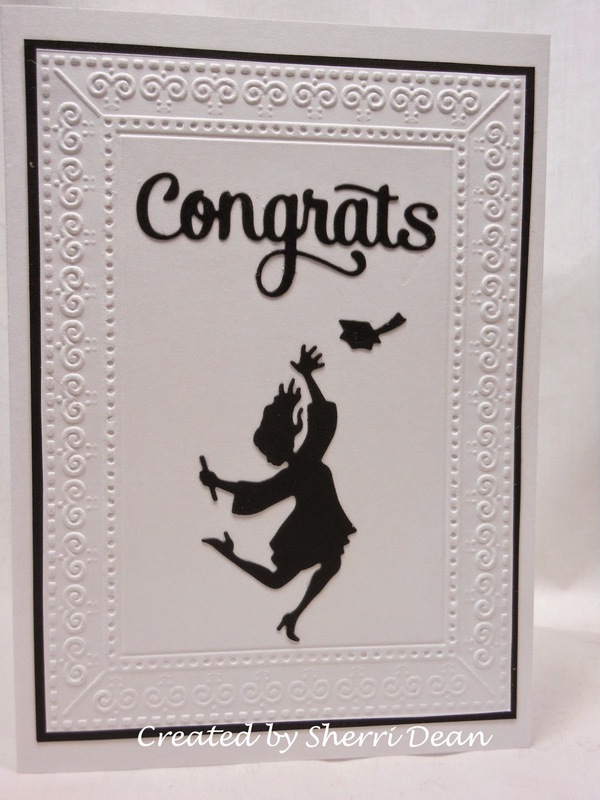 Since I have already had requests for graduation cards, I'm sure a lot of you are in the same boat! It's that time of year again, isn't it? And thankfully, Dies R Us has the perfect dies for your cards! When I first saw the selection of graduation dies I had an easy time deciding which ones I wanted. I have already made a lot of cards with them, but will only share 3 of them. 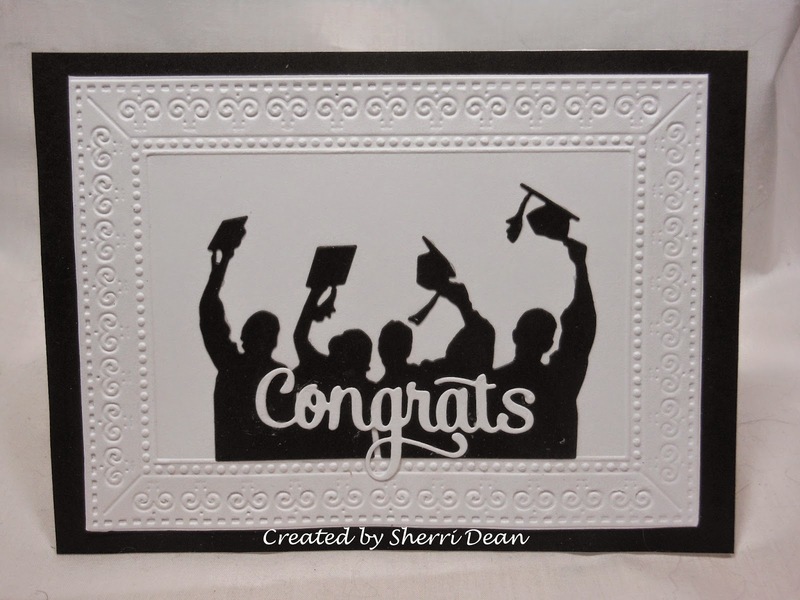 Once you see how easy it is to create graduation cards you will be amazed! I used just 3 dies on these cards and one embossing folder which we also carry! How easy does THAT make your shopping!! The dies are Impression Obsession Grads Jumping, Impression Obsession Grads Tossing, Impression Obsession Congrats and the folder is Darice Photo Frame. This first die is perfect if you want to make several ahead as it could easily be used for either a guy or a gal! This cute gal is just one of the two dies in the Grads Jumping set. The guy is below! I created mine in black, but you can easily change to school colors if you know them as well. Don't forget to join in on our month long anniversary celebration! The Dies R Us Challenge Blog is giving away gift cards!